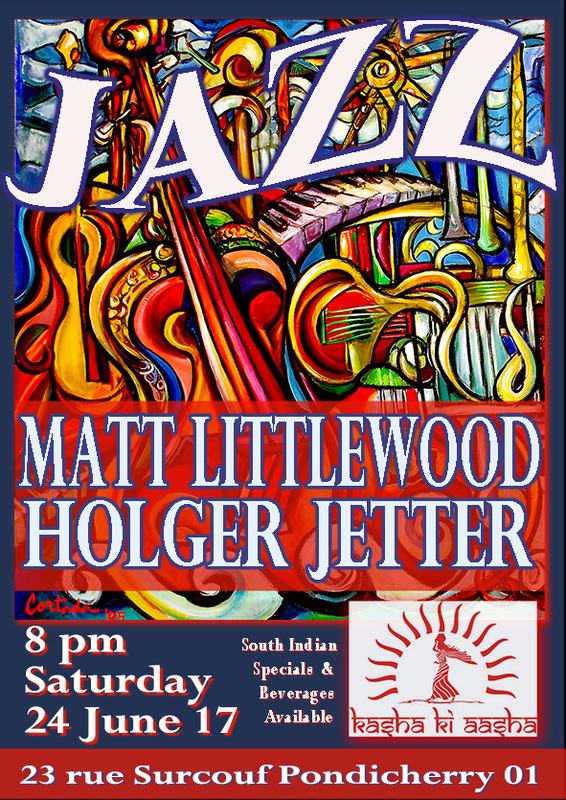 Kasha Ki Aasha welcomes back talented jazz musicians, Matt Littlewood and Holger Jetter this Saturday. Come join us on our renovated terrace for some great music, that unique Pondicherry ambiance and some great food! Join us at 8 pm and be a part of another purely Pondicherry moment on our terrace.